All games in tagged with "Fire Emblem"
Fire Emblem (ファイアーエムブレム, Faiā Emuburemu) is a fantasy tactical role-playing video game franchise developed by Nintendo's Intelligent Systems division and published by Nintendo. The Fire Emblem series is well known for its innovation and for being one of the first Eastern style tactical role-playing games, with a strong emphasis on Western forms of medieval fantasy. The series is also renowned for having deeply developed characters, as well as the fact that most units' death—or defeat in battle—is permanent in the game until the end of the playthrough. The series currently spans thirteen games, and has been released on the Family Computer, Super Famicom, Game Boy Advance, GameCube, Nintendo DS, Wii and Nintendo 3DS. All games in the series were exclusive to Japan until 2003, when the seventh game in the series was released internationally under the title Fire Emblem, largely due to the popularity of Fire Emblem characters Marth and Roy in Super Smash Bros. Melee. 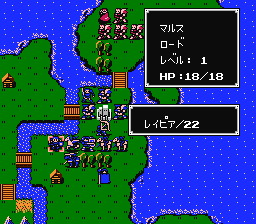 Fire Emblem was designed specifically with newcomers to the series in mind, and the first ten chapters were structured in a manner that eased newcomers into the gameplay. All Fire Emblem games produced since have also been released internationally, except for Fire Emblem: Shin Monshō no Nazo: Hikari to Kage no Eiyū on the Nintendo DS.